How does a common man understand the Fundamental Rights? How can media play a role in promoting understanding and contribute to exercising the Fundamental Rights? 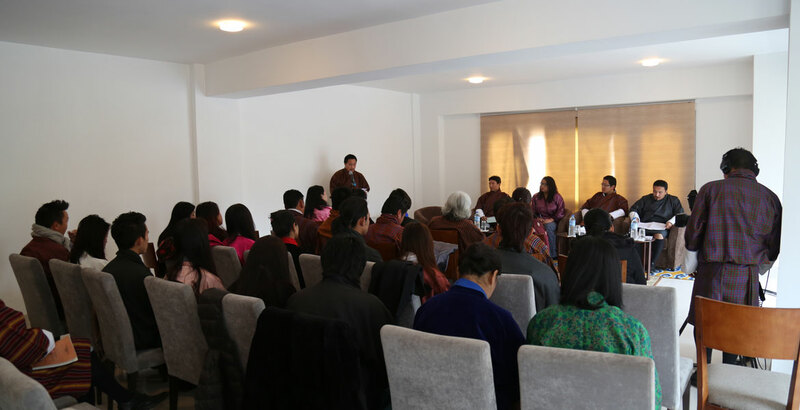 Thirty-nine people participated in the programme and the resource speakers comprised Hon’ble Kinga Tshering, Member of Parliament; Hon’ble Sangay Khandu, National Council; Mr Tenzing Lamsang, Editor, The Bhutanese; Ms Tara Limbu, Board Member, JAB. The discussion was moderated by Dawa Penjor, ED, BMF.